Some of our loyal readers will instantly recognize this castle from a previous post we did on Belynia Castle. Well Belynia is no longer just a castle but has been expanded out to an entire village. 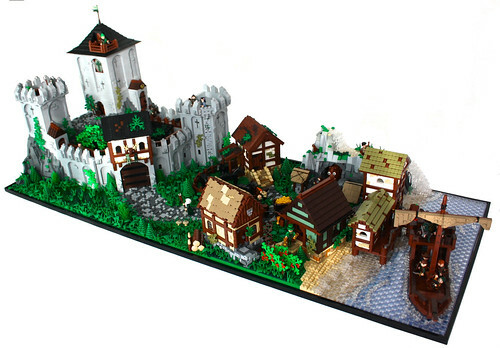 Simon really took this village in a direction that I was not expecting and that is more than OK and I am really floored with the way it turned out. When taking a closer look at the village make sure to check out all the additional details he added including the docks and the water technique on the shore line.